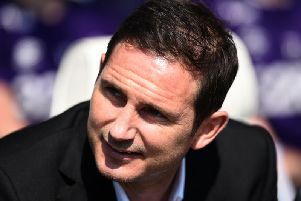 Harry Wilson joined Mason Mount in an exciting double swoop for Derby County and new boss, Frank Lampard. Wilson, like Mount, joins the club on a year long loan deal. Wilson, like Mount, is a youth prospect from one of the big boys. Wilson joins the Rams from the Liverpool academy where he has played since 2005. The Welshman is still blossoming at the age of 21 but has been admired from a very early age. He has represented his country at U17, U19 and U21 levels before finally making the first team. This year, Wilson has made two appearances for Wales and celebrated with his first goal at national senior level in a 4-0 victory of China. It isn’t, however, just his national side that are excited by his potential; Liverpool manager, Jurgen Klopp handed the youngster a new contract this month after making his senior debut in the FA Cup as a substitute. Well, besides making a senior debut the Champions League finalists, Wilson is no stranger to a loan move. In fact, his move to Pride Park will be the third loan spell of his career. In 2015, Wilson arrived at Crewe Alexandra for whom he recorded seven appearances without netting once. However, you may recognise the name from his most recent loan move last season. Wilson joined fellow Championship club, Hull City in a much more successful loan spell. It took Wilson all of 13 matches to score an impressive seven goals for the Tigers which inevitably prompted some serious demand for his signature this season round. Is he what Derby County need? With the departures of both Johnny Russell and Andreas Weimann last season, Derby lacked width in their squad. This, combined with Nick Blackman’s loan spell and Ikechi Anya picking up injuries and subsiding to the reserve team for much of the season, left Derby with very few options out wide. Enter Mr. Harry Wilson who is a bright young prospect who thrives on cutting in from the wing. There was little to no competition for wingers last season at Derby. Now, the prospect of Tom Lawrence, Luke Thomas and Harry Wilson all on one side will give Frank Lampard the right kind of headaches as the season draws nearer and nearer.